Kansas State has had a surprise season, but they were outmanned and outmatched against the Razorbacks. Collin Klein could never establish himself as a running QB, so once they got in a hole against Tyler Wilson's Arkansas offense, KSU had to throw. Kansas State fell in a 19-0 hole early on, but Klein led the Wildcats back to within three. 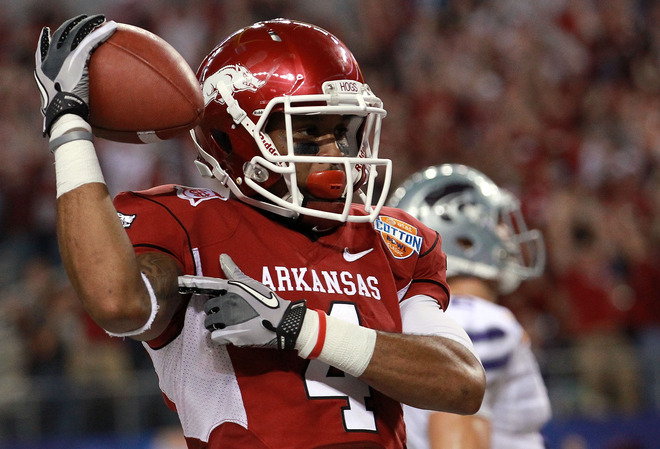 However, the Razorbacks would put KSU away and walk away with the Cotton Bowl.